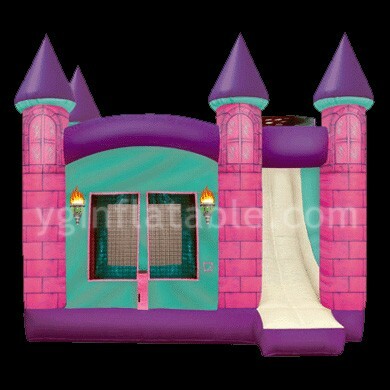 Inflatable jumping castles are also known as bouncy castlesthat are particularly for children. They are usually used for birthday parties and out door actvity.A bouncy castle consists of obstacle courses, games, slides, and more. Basically, it is a toy wherein children can play, jump, and have fun. You can see some bouncy castles in some children’s park, malls, and some fast food chains. When you bring your child in a mall, you will possibly see a store that provides bouncy castle renting. Don’t be too tight on your budget. Let your child play and experience the fun that bouncy castle gives. If you want to know the benefits of bouncy castles, read below. If you take your child to a shopping square with an inflatable jumping castle, your child is sure to be friends with other children.Your child will meet other kids who also love bouncy castle. If you just always stay at home, your kids won’t be able to meet new friends and they will not be able to know the feeling of having a friend. They won’t definitely know how to make friends or interact to other kids. If your children don’t know how to interact with other kids, they will definitely have a hard time having a friend. For example, your child is playing on a bouncy castle and is showing a bad attitude to other kids, he or she will definitely be disliked by them. inflatable jumping castle is also healthy for your child. Playing in a bouncy castle is also a great stress remover. If your child is getting stressed on school and homework, you might want to treat your child and bring him into a place where there is a bouncy castle. It is not healthy for children if they just focus on everyday work like in school. It is a very good idea if you let your children have fun when they have free time or during weekends (when there is no school). It is also a great stress remover for parents if they saw their child smiling or having fun. Parents should also watch their child as they play. Even if the bouncy castle is safe, there might be some accidents that will happen like when another child accidentally bumped onto your child. It is still advisable to be ready and bring some first aid kit. Children can also expand their imagination by just playing in the bouncy castle. Since it is bouncy, children will definitely imagine things like they’re flying as they bounce. The imagination of children is very wide; even a single toy can be imagined as different things. For example, when children play in the slide, they can definitely imagine that they are sliding into a swimming pool. Children can also think of ways on how to use the bouncy castle to create a new game. For example, children can make a game where the one who makes the highest bounce wins. In the inflatable jumping castle, children won’t get bored and at the same time, they can interact with other kids.